On main page of Totopweb.com, it may appear as official search engine that offers several services and access to a number of valid websites. We can say that search results obtained from this site is valid because it is presently utilizing Google Search. However, links from the homepage are not all verified as safe to visit. There were reports that Totopweb.com may divert website traffic to questionable pages. Initially, we can assume that Totopweb.com was made in the sole purpose of generating online revenue. Its excessive display of advertisements is productive in gaining online profit for its makers. Same with the endorsed websites where button links are mixed with popular sites, probably to trick computer users. With the above mentioned irregularities, computer security experts dubbed Totopweb.com as Adware. It usually comes with various freeware and third-party applications. Installation of this kind of threat is normally discrete and well hidden in the system. Users are not consulted whether they want to integrate Totopweb.com on their browser. Thus, most people who came across with Totopweb.com believe that their PC is infected with virus. Totopweb.com is very much similar to hundreds of questionable search including Top8844.com and Tohotweb.com. All of them claims to provide user with the best online browsing experience. However, what it presents are short of your expectation. Thus, we highly encourage you to replace it with quality and legitimate search engine. Better yet, restore your previous settings and get rid of Totopweb.com. For a complete guide to remove this homepage hijacker, please see the procedures on specific section below. 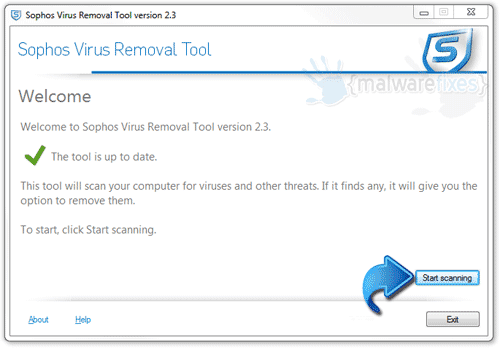 This rootkit and virus removal tool is free and easy to use. It scans, detects and removes any rootkit, malware as well as threat like Totopweb.com home page hijacker. The tool is powerful enough to find malicious items that are hidden on the computer. 7. Click on Start Scanning button to begin checking the system for presence of rootkit and virus. The tool reveals items that were found linked to Totopweb.com. It also detects and removes other malicious files. 4. It searches for presence of harmful programs, plug-ins, add-ons, or any data that were found malicious and linked to Totopweb.com. You need to Clean all items detected by this tool. After the previous scans, you may have deleted Totopweb.com from the affected browser. This next step will ensure that no more module of adware will be left on the browser. 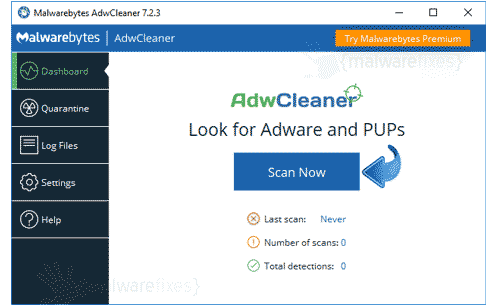 This free tool scans and checks the browser for unwanted add-on and extension, and if found, Avast Browser Cleanup will give you a report and suggestion. 4. 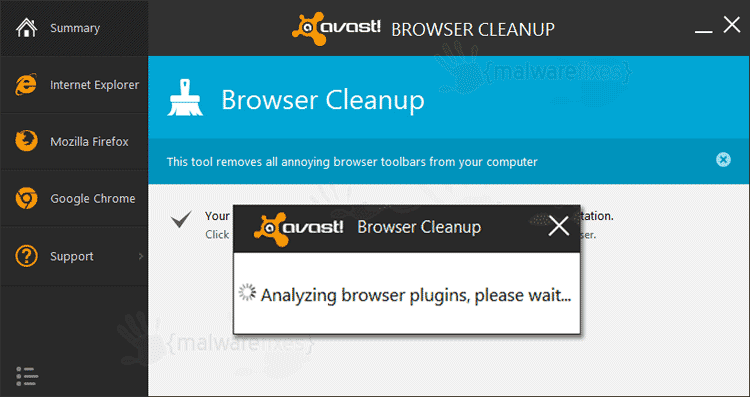 Avast Browser Cleanup will confirm before it permanently deletes the add-on. Please click Yes to proceed with the removal of Totopweb.com on the affected browser. Cleaning your internet browser from clutter and unwanted add-on/extension is a must when dealing with Totopweb.com. 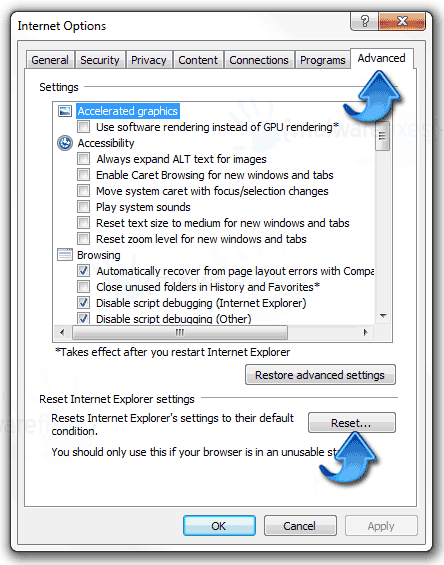 The procedure below discuss on resetting various browsers to its default state. This function will reset your home page, new tab page, search engine, and other areas affected by Totopweb.com. Unwanted extensions will also be removed from the browser. This will not affect your bookmarks, history, and other saved data. You may also run Chrome Cleanup function from this page. An integrated tool from Google Chrome but with more advanced Adware scanner feature. Your data like favorites, bookmark, and history will remain it the browser. However, this process may delete add-ons by Totopweb.com and other unknown objects. If you prefer to carry out the procedure manually, please view instructions here. This section describes how to remove unwanted extension from Firefox that may be related to Totopweb.com. This process can fix many browser issues by restoring Firefox to factory settings without affecting your essential information (bookmarks, browsing history, passwords, and Internet cookies) on the browser. If you desire to remove only specific extension, please see manual add-on removal from this link. 4. Firefox browser will close and start the resetting process. When done, it will display a list of restored data. Totopweb.com home page hijacker should be gone by now. Click Finish to open a fresh version of Firefox.